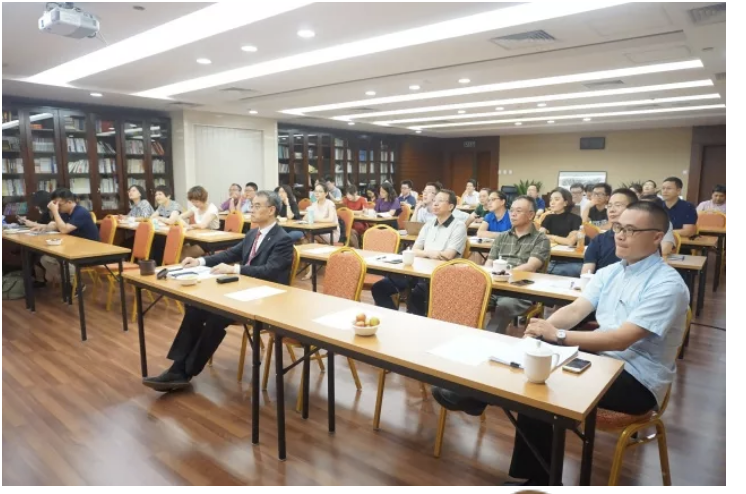 On the afternoon of 21 June, I had the honor (and the challenge) of giving a lecture as part of a lecture series (大讲堂) sponsored by the Supreme People’s Court (SPC)’s China Institute of Applied Jurisprudence (the Institute) (mentioned in earlier blogposts, here and here). Judge Jiang Huiling, to my right in the photo, chaired the proceedings. Professor Hou Meng of Peking University (to my left), one of China’s leading scholars of the SPC, and Huang Bin, executive editor of the Journal of Law Application (to Judge Jiang’s right) served as commentators. The occasional lecture series has included prominent scholars, judges, and others from China and abroad, including Judge Cai Xiaoxue, retired SPC administrative division judge (and visiting professor at the Peking University School of Transnational Law), Chang Yun-chien, Research Professor at Taiwan’s Academia Sinica (a New York University SJD), and Professor Zhang Taisu of Yale Law School. As can be seen from the title slide above. 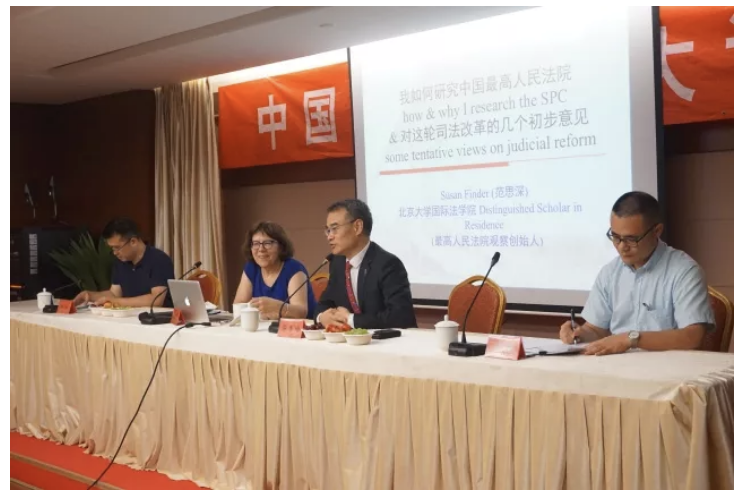 I spoke [in Chinese] about how and why I research the SPC and some tentative views on judicial reform. Preparing the Powerpoint slides and presentation involved work for me that was a counterpart to that of the drafters of President Zhou Qiang’s report to the National People’s Congress (NPC), considering what issues would be appropriate in the post-19th Party Congress New Era, and would hit the right notes with an audience of people involved with Chinese judicial reform on a daily basis. I spoke briefly on how I became interested in China, Chinese law, and the Supreme People’s Court, as well as Harvard Law School and its East Asian Studies program (and Columbia Law School as well). 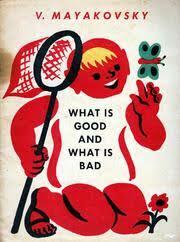 I traced my interest in socialist core values back to when I was seven years old, because of the books (see a sample below) and photos my father brought back from a tour he led of American academics working in Afghanistan to the Soviet Union in the early 1960’s, and a fateful opportunity I had as a high school student to learn Chinese. I told the audience also of the meeting I had with Professor Jerome Cohen before starting law school. (In this interview with Natalie Lichtenstein, founding legal counsel of the Asian Infrastructure Investment Bank), I discovered that Professor Cohen gave many of us the same advice–“if you study Chinese law you can do something interesting”–and how his group of former students continues to be involved with China and Chinese legal issues in many different ways. I also made comparisons between the career paths of elite legal professionals in China with those in the United States. Explaining my interest in the Supreme People’s Court, I told how a serendipitous book purchase, bicycle rides past the SPC, a group of people willing to share their insights, and a lot of hard work led to my initial interest in China’s judicial system and to my 1993 article on the SPC. I also told the story of the founding of this blog. On judicial reform, for the most part, I summarized some of my prior blogposts. I concentrated on the first several reforms as listed in the SPC’s reform outline, particularly the circuit courts, cross-administrative region courts and other efforts to reduce judicial protectionism, the maritime courts, criminal justice related reforms, the evolving case law system, judicial interpretations and other forms of SPC guidance, and many other issues. However, some of the issues did not make it into the Powerpoint presentation. I concluded with some thoughts about the long-term impacts within China and abroad of this round of judicial reforms. I was fortunate to have three perceptive commentators and also needed to field some very thoughtful questions from the audience. The event was reported in the Institute’s Wechat public account and People’s Court Daily. Many thanks to Judge Jiang and his colleagues at the Institute for making the event possible, and Professor Hou and Mr. Huang for taking the time and trouble to come from the far reaches of Beijing to appear on the panel (and for their comments). This entry was posted in About Me, circuit courts, US federal courts and tagged China Institute of Applied Jurisprudence, Supreme People's Court. Glad this worked out. Sounds fun, though probably a lot of work for you!